I happened to be drinking a cup of chamomile tea slightly sweetened with honey and it hit me. Odd how these things happen, but these flavors evoked thoughts of peaches. The next thing I knew I was in the kitchen putting these elements together to see if my hunch would materialize into something fun and delicious. This is a dessert that is more than the sum of its parts. 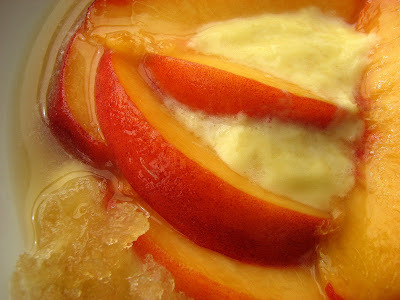 Fresh peaches are so good right now and when garnished with Honey Sabayon, they become a lovely summer dessert. Add another layer of slightly sweet and cool Chamomile Granita and the whole thing becomes a very different and delicious combination. 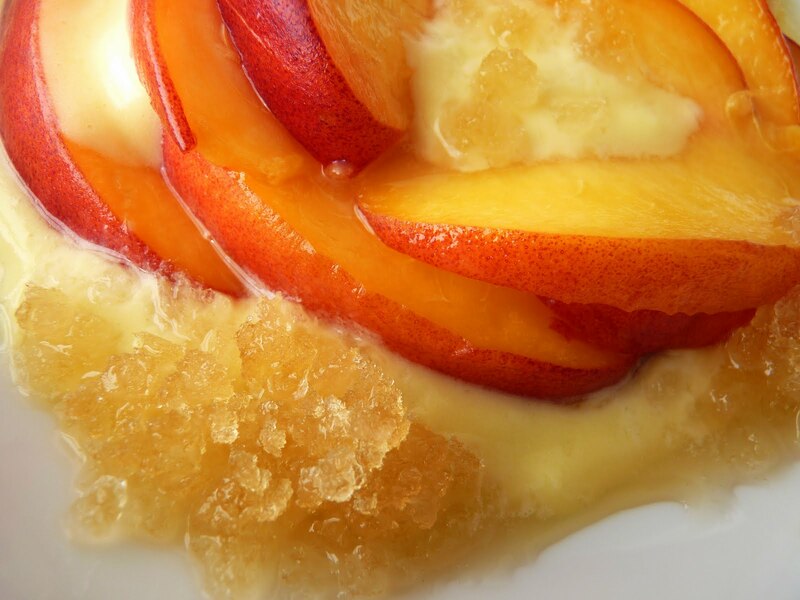 The bright and pure goodness of peaches in their juices and the honey wine flavor of the sabayon are both heightened by the very subtle herbal sensation of chamomile. As the granita melts into the sabayon, this dessert becomes really unusual and unmistakably divine. Alhtough this composition may sound complex, once the granita is ready, you can assemble the dessert in about 20 – 25 minutes. It’s a great coda to a summer meal when you’re in the mood to dazzle a plate of simple fresh fruit with a little luscious flair. A bite of freshness, creamy and icy cool all in one remarkable bite. - The Chamomile Granita is a frozen dessert so it needs to be made ahead. It can sit in your freezer in an airtight container for about a week or so. Just be sure to continue to scrape it a few times to keep it loose. - I was going to sweeten the chamomile tea with honey but I really wanted the pure taste of chamomile to shine through so I used sugar instead. 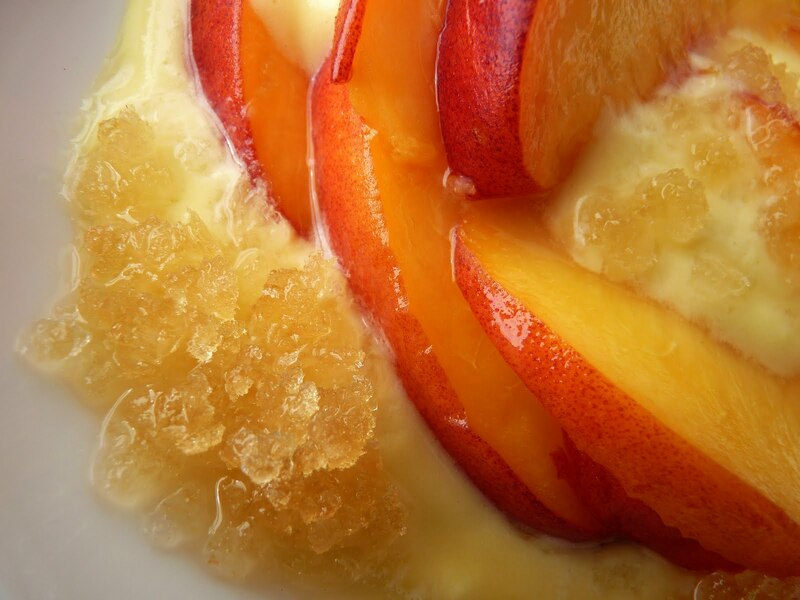 - You can also serve this dessert in parfait glasses, layering with sabayon and peaches and topping with the granita. - If your honey is granulated or solidified, just warm it gently and it will loosen up and smooth out. - I'm also wondering how this would taste with the peaches and their juices, honey vanilla ice cream and the Chamomile Granita. To make the Chamomile Granita, bring the water and sugar to a boil and add the tea. Take off the heat and steep for 1 hour. Remove the tea bags, pressing them to extract all the flavor. (If you’re using loose tea, pour through a fine mesh strainer.) Pour the sweetened tea in a shallow airtight container and place in your freezer. After about 2 hours, take a fork and scrape the surface of the granita with a fork to form icy crystals. Place back in the freezer and repeat again a couple of hours later. To prepare the Honey Sabayon, whisk egg yolks, honey and wine together in a stainless steel bowl. Place the bowl over a pot of simmering water, making sure that the bowl is not touching the water. Check periodically to see that the water is not boiling. Whisk constantly for 5 - 7 minutes, scraping the bottom and sides of the bowl, and cook until the mixture is thickened and expanded in volume. Remove from heat and continue whisking for a bit. Set aside to cool. 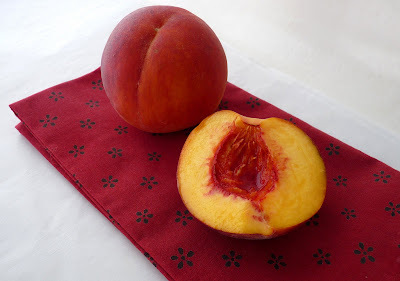 While the sabayon is cooling, prepare the peaches. Whisk the honey and warm water together until dissolved and blended. Add the lemon juice to taste. Cut the peaches into thin slices and toss with the honey lemon syrup. Set aside, tossing gently a couple of times to keep the peaches coated with the juices. Finish the sabayon by whisking 1/4 cup of cold heavy cream just until soft peaks form. Fold the cream into the sabayon until well combined. To assemble, place a dollop of sabayon in each serving dish and layer slices of peaches on top. Add a couple more dollops of sabayon and garnish generously with Chamomile Granita. Serve immediately. 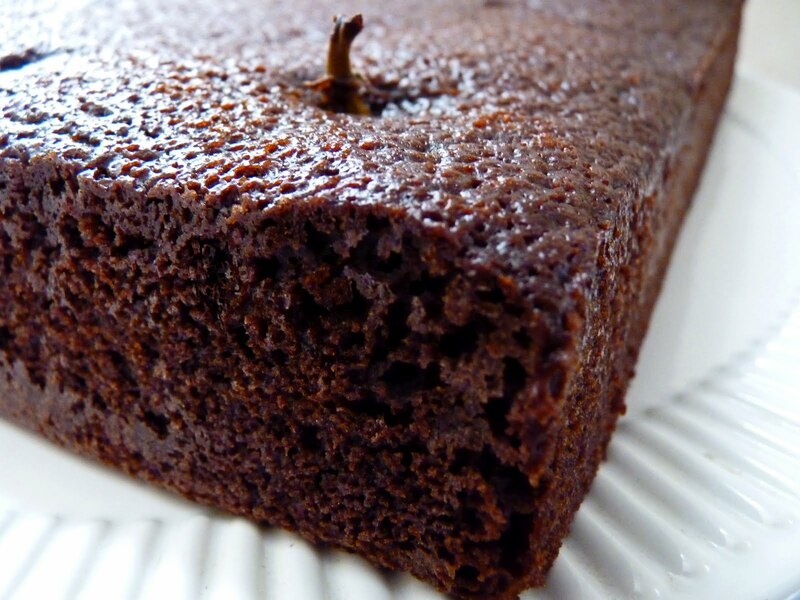 I got my first basket of fresh figs of the season and I immediately had this urge to try them with some rich chocolate cake. Maybe it was something about their beautiful dark purple hue that seemed to call out to the world of dark chocolate. So I found myself wanting to combine the bright fruity flavor of fresh figs along with the earthy depth and acidity of cocoa. To make a good union even better, I invited some spices to liven up the pairing. The result is a deliciously moist and satisfying dark chocolate cake. I think anyone who loves these ingredients on their own will undoubtedly enjoy this particular synchronicity. I originally intended to finish the cake with a gooey chocolate glaze but at the last minute decided to keep the cake simple and unadorned. I wanted the gorgeous fruit and the complexity of the spices to take center stage, so this is a very dressed down cake but a beauty nonetheless. I’m excited to finally see beautiful fresh figs in the market. It seems like their arrival is very late this year but I’m really looking forward to having them on my table for a good long while. - I used undutched cocoa powder and extra virgin olive oil for the cake. Canola oil can certainly be used instead. - Contrary to popular belief, allspice isn’t a blend of lots of different spices. It’s actually the sun dried unripened berry of the Pimenta dioica plant. It likely got its name because it seems to suggest the flavors of cinnamon, nutmeg, black pepper and cloves. 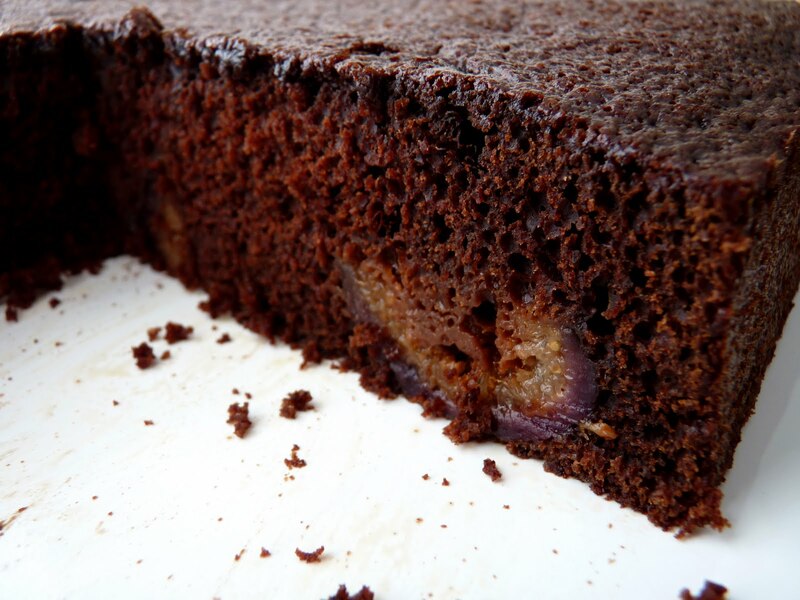 - I sliced off the bottoms of the fresh figs because I wanted them to stand up in the cake and then I cut them in half so the centers baked into the cake. Some of them decided to recline. - This recipe will make 9 large or 12 modest servings. I was going for pure simplicity so didn’t think it needed any sort of garnish or partner. 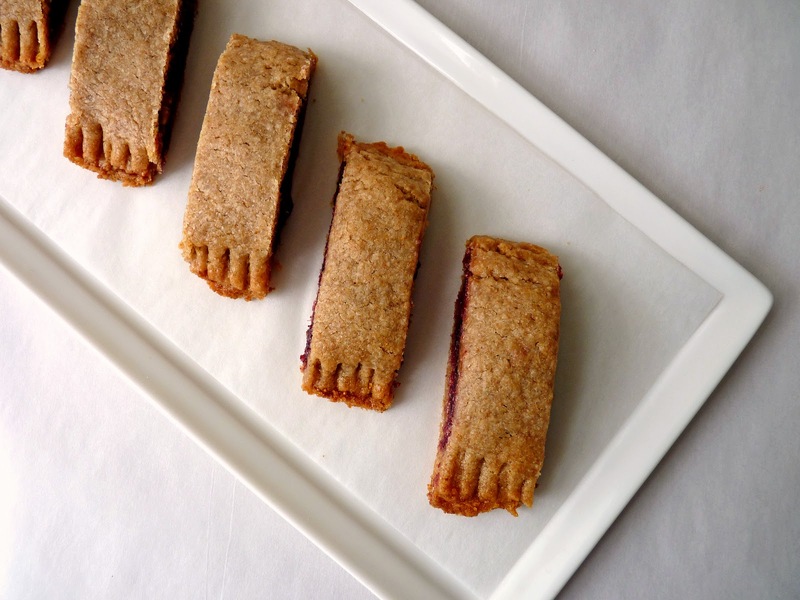 - This is the season for great fig pastries and desserts! 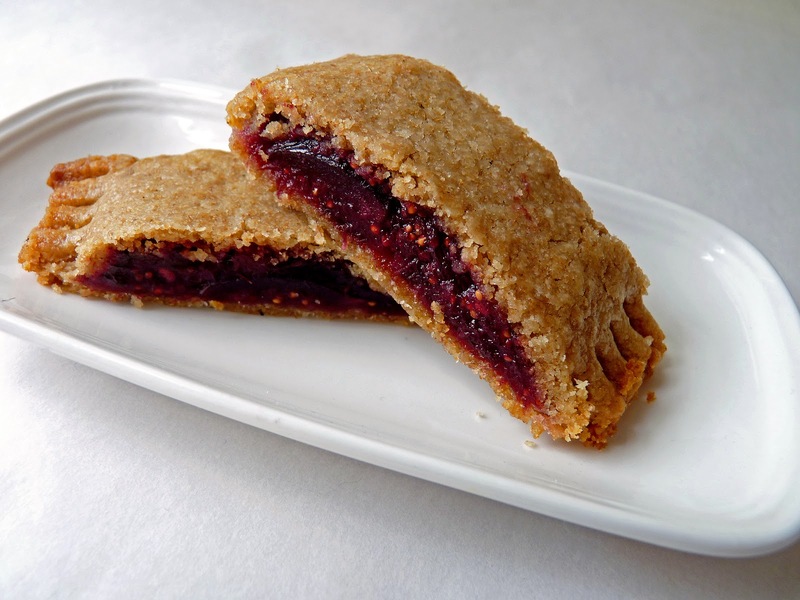 If you enjoy figs, you may also want to try Olive Oil Cake with Fig and Orange Honey Compote, Fig & Goat Cheese Chocolate Sandwich Cookies, Blue Cheese Cookies with Fresh Fig Jam, Provençal Sundae, Saffron Ice Cream with Figs and Orange Gastrique, or a simple but sublime Fresh Fig Raspberry Galette. Preheat your oven to 350 degrees. Prepare a 9” square cake pan with oil and parchment, leaving an overhang on two sides to make removing the baked cake a bit easier. Slice off the bottoms of the figs and then slice them in half. Set aside. Sift the flour, baking soda, salt and spices. Whisk together the oil and the sugars. Add the eggs and blend well. Whisk in the cocoa mixture. Stir in the dry ingredients in 3 additions, alternating with the buttermilk and beginning and ending with the dry ingredients. Mix just until well blended. Pour into the prepared pan and gently tap the bottom of the pan on the work surface to remove any air bubbles. Submerge the fig halves into the cake. Bake for 35 - 40 minutes or until a toothpick tests with a few moist crumbs adhering. Cool 10 minutes. 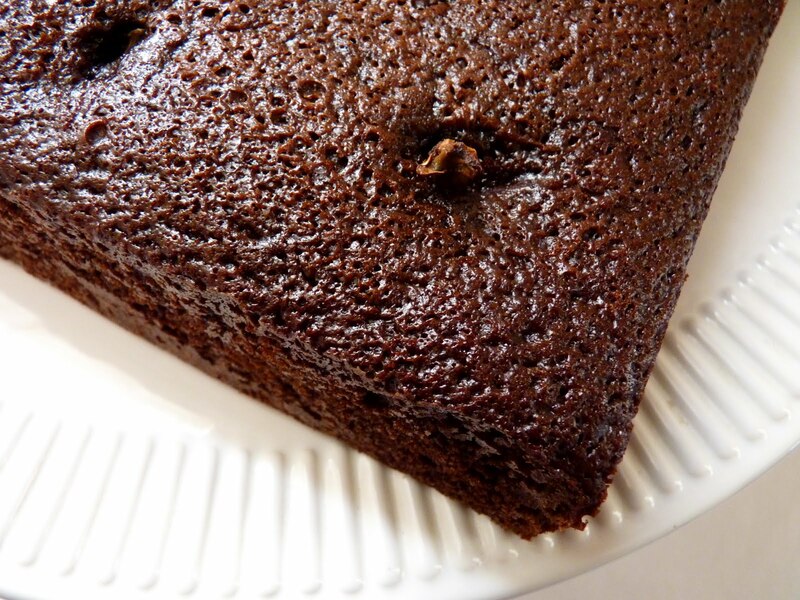 Run a thin bladed knife around the edges and gently lift out the cake. Cool completely. 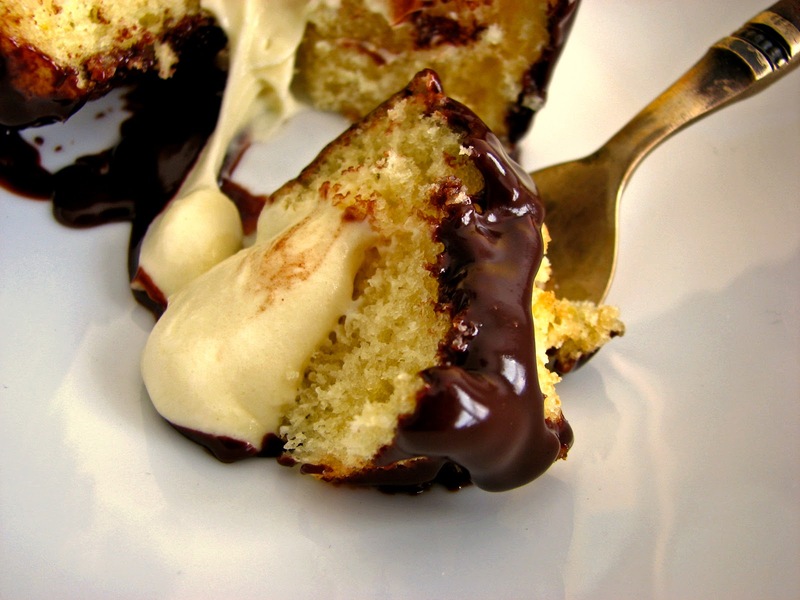 If you’re in the mood for a delicious little treat, you might consider a return to an old-fashioned American classic from the mid-1800s, Boston Cream Pie. 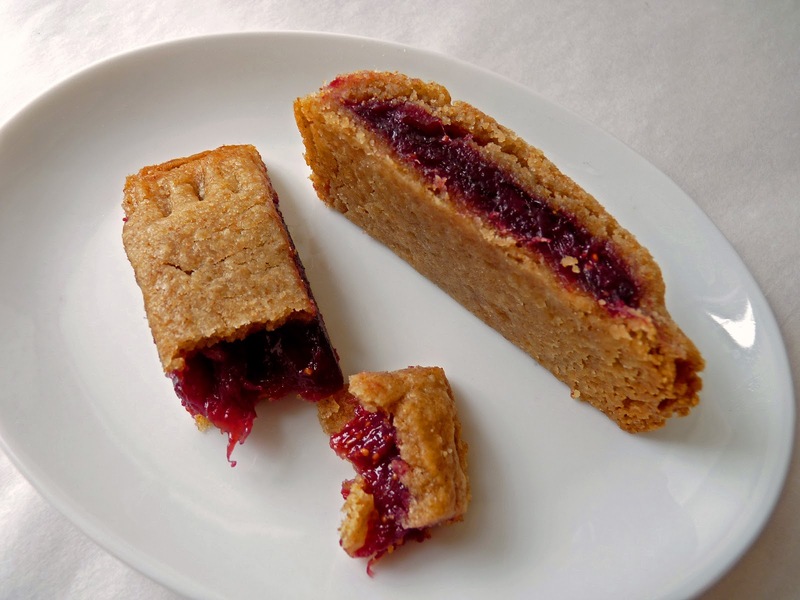 You know the one - it’s the pie that is really a cake, picking up its name because it was probably first baked in a pie plate long before the advent of cake pans. It’s such a simple and delicious concoction it’s hard to imagine improving upon it. Delicate yellow cake, luscious vanilla cream and a gooey chocolate glaze make this a really great birthday or special occasion dessert. I’ve chosen to make individual cakes for a more playful presentation. 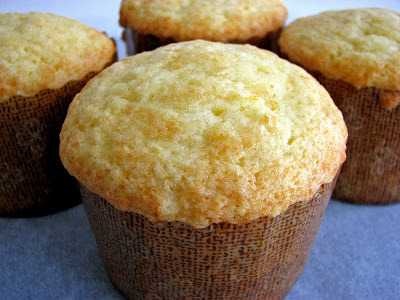 I begin with a perfect yellow butter cake recipe from Flo Braker. It’s really the best of its kind. It has a nice delicate crumb, it’s very moist and has lots of delicious buttery vanilla flavor. Once the cakes are cooled, I use a melon baller to scoop out a portion of the cake. 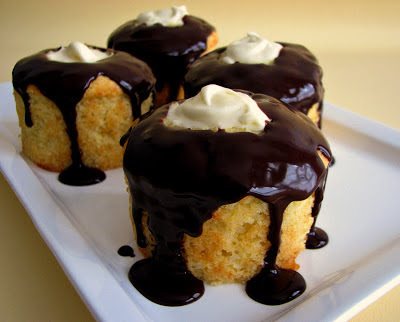 Then they’re filled with a loose vanilla cream and drizzled with a beautiful robe of chocolate glaze. Once you finish the assembly, it will be hard to fight off a roomful of anxious tasters. My advice is to just stand back and let the cake crumbs fly. - I added some orange zest to the cake batter for a little citrus buzz. - The secret to making great cake is to 1) make sure all the ingredients are at room temperature to ensure that they will completely emulsify in the mixing process; 2) cream the butter and sugar until light and fluffy; 3) add eggs one at a time and give each one time to be completely incorporated and emulsified into the butter and sugar mixture; 4) scrape down the bottom and the sides of the bowl a couple of times while mixing so that all the ingredients are properly distributed and mixed together; 5) mix thoroughly but don’t overdo it; 6) make sure your oven is at the right temperature; 7) since all ovens vary, check the cake a couple of minutes before the stated baking time to avoid overbaking and dry cake. 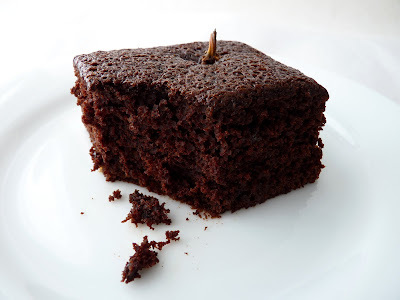 Pay attention to the spring in the cake when it is lightly touched with your fingertip. Knowing when a cake is done relies on your senses: sight, smell and touch. - I think these paper baking cup molds (2 3/4” in diameter x 2” deep) are the perfect size. If you can’t locate them, make regular cupcakes. You’ll probably get closer to a dozen cakes. Check them after about 16-18 minutes in the oven. 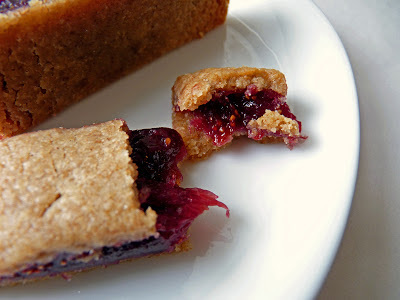 - The corn syrup in the glaze is to make it shiny and easier to pour. It can certainly be omitted. Preheat your oven to 350 degrees. Sift the cake flour, baking powder, baking soda and salt together. Combine the buttermilk and vanilla. Cream butter and sugar until fluffy and very light in color. Add eggs one at a time, mixing thoroughly after each addition. Add the orange zest. Stop and scrape down the sides and bottom of the bowl to be sure all the ingredients are being incorporated thoroughly. The mixture should look fluffy, white and increased in volume. Add 1/3 of the flour. Then add half the buttermilk. Alternate adding the remaining flour mixture and the buttermilk, ending with the flour. Scrape the sides of the bowl, and mix until smooth and well blended. Portion the cake batter into 8 baking cup papers and set them on a baking sheet. Bake for about 18 - 20 minutes or until the top of the cakes are lightly browned and they spring back when touched lightly in the center with your fingertip. Cool the cakes completely on a wire rack. To make the vanilla cream, heat the milk until it just comes to a slow simmer. Whisk together the yolks, sugar, flour and cornstarch until thoroughly combined and the mixture is thickened and lightened in color. Add a little bit of hot milk, whisking until the mixture is completely blended. Add the rest of the milk and whisk to thoroughly combine. Return the mixture to the pan and heat, whisking constantly, until the mixture comes to a slow boil. Continue cooking for a couple more minutes until the cream has thickened. Take off the heat and stir in the butter and vanilla. Cool completely, pressing a piece of plastic into the surface to prevent a skin from forming. Remove the cakes from the paper cups. Use a melon baller or a sharp paring knife to carefully scoop out some of the cake in the center, down to within about a 1/2” of the bottom so there’s lots of room for the cream. Whisk the 1/2 cup of heavy cream to soft peaks. Fold into the cooled vanilla cream. Spoon or pipe the filling into each cake. To make the chocolate glaze, place the chopped chocolate in a medium bowl. Heat the 3/4 cup of heavy cream on low until it just begins to simmer. Stir in the corn syrup and pour over the chopped chocolate. Let it sit undisturbed for a couple of minutes. Slowly whisk the chocolate until it has melted and the mixture is smooth and shiny. 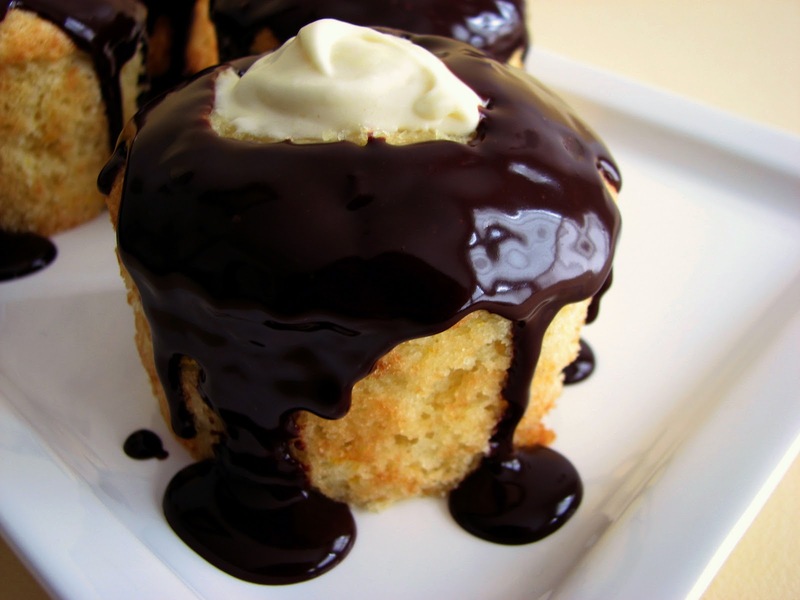 Pour the chocolate glaze over the cakes and let them set up for a few minutes.